On a Sunday morning, I joined the poet at the famous Main Street diner to discuss his work and creative process. On Sept. 1, the University of Iowa graduate published “regent,” his first collection of poetry through Silk House Publishing. Inspired by the sounds of clacking silverware on dishes and half-heard conversations, Maddux manages a nonchalant profoundness both in the collection and in person. 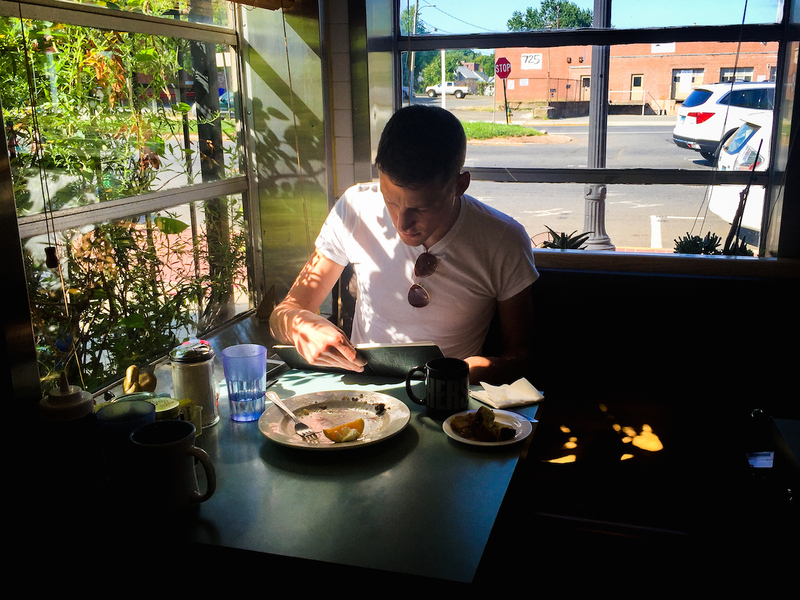 Over the course of nearly two years, starting in October 2014, Maddux visited diners throughout the state of Connecticut, creating over four hundred poems, one hundred of which make up the final piece. Silk House Publishing founder Emily Berregaard and editor Julia Rubano helped to arrange the collection and edit the individual poems, respectively. Haley Johannesson, Maddux’s former professor from the University of Iowa, also helped edit the collection. Maddux began what would soon become the collection after the death of his mother. While a lot of the earlier poems deal with mourning and the aftermath, he began to branch out in content and media forms, creating the popular Instagram handle @dinersofconnecticut. The Iowan explained some of the many reasons for choosing diners as the space in which he would create. Maddux also discussed the significance of several diners during the project, including O’Rourke’s Diner. Having spent some time in Middletown with an old girlfriend that went to Wesleyan, he has incorporated several poems about the area into the collection. Maddux explained that he had never worked with editors in such an intimate way before, and that conflicts of interest emerged occasionally. Despite these moments of self-deprecation during our conversation, Maddux expressed his need to author poetry on a daily basis. “regent” ends by becoming a journal of diner-driven inspirations, making public Maddux’s process of creating art.